This style is part of a special capsule collaboration between Charlotte Olympia x Havaianas to celebrate their 10 year anniversary. A pretty kitty makes for the fanciest feet! Your Charlotte Olympia™ Cat Flip-Flops will be the talk of the town! Man-made thong style flip flops. 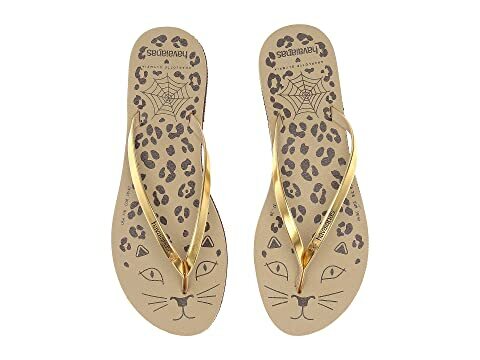 We can't currently find any similar items for the Cat Flip-Flop by Charlotte Olympia. Sorry!